We offer a variety of dental services to cater for everyone irrespective of age. In a bid to diversify our dental services, we also have dentistry for kids. This caters for the oral health of your children; it ensures that our children also get to enjoy and benefit from our professional dental services. Pediatric Dentistry targets children in any age between infancy all the way to their teens. We have a team of qualified dentists who understand and have the experience to deal with all kinds of oral issues faced by children as their teeth grow and continue to develop. What most parents may not know or realize is that children too require proper dental care from the time their first set of teeth begin to grow, usually at the age of 6 months, all the way to when they start losing them and growing permanent teeth at the age of between 6 and 7 years. Even with what appears to be healthy strong white teeth, children are not immune to dental complications. Some of the possible risks they face in this phase of their growth include, tooth decay and diseases that if not dealt with, could lead to a lifetime of pain and dental complications. In fact, some of the oral diseases like early childhood caries are more common today than conditions like asthma and hay fever, which are common health complications in young children. We guarantee that our team of qualified children dentist will ensure your young ones enjoy great oral hygiene and health at all times. What kind of training do our pediatric dentists have? Just like all dentists, a pediatric dentist has to go through dental school, however, in order to sharpen their skills and experience in dealing with children, they also undertake an additional two-year residency training in child dentistry. This is where they get to have a more hands on experience in dealing with infants, teens and children with special needs. Oral examinations: These cover risk assessment for dental caries in both the mother and child. Provision of preventive dental care such as cleaning treatments and nutrition recommendations. Habit counselling on issues that could lead to improper dental structure such as thumb sucking or unhealthy pacifier among infants and children. Why dentistry specifically for kids? 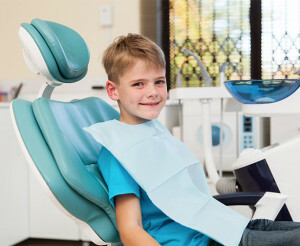 Unlike adults, children do not have the patience to sit down and cooperate with a dentist during a dental exam sessions. Dealing with them in such crucial times requires much more than what an ordinary dentist can offer. Children dentists know how to handle children in ways that ensure they are comfortable enough to sit through an entire session. They, pediatric dentists, also make use of special equipment and work in spaces designed and arranged with children in mind. When you child requires a dental exam or needs a procedure done, you can be sure that our skilled team in the family dentistry are more than qualified and able to deal with whatever complications they may have.